Here is the tutorial for establishing new internet connection using your bluetooth enabled mobile device to your computer or laptop in Ubuntu. 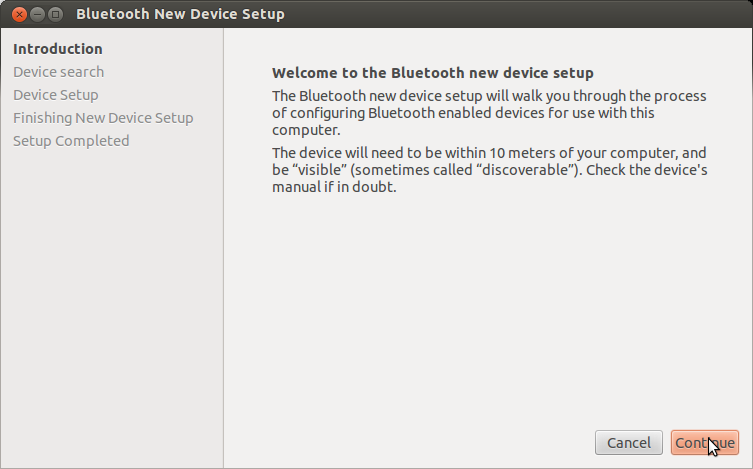 First plugin your bluetooth or if you have in-built then start your bluetooth. 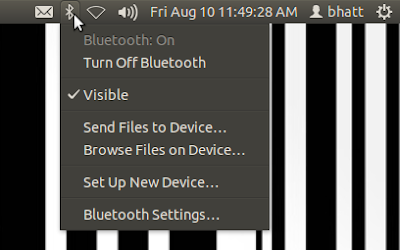 Then click on bluetooth symbol on the top panel as shown in below screenshot. 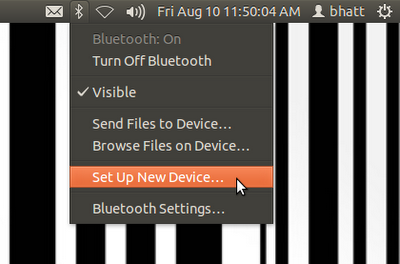 It opens a menu, click on "Set Up New Device...". 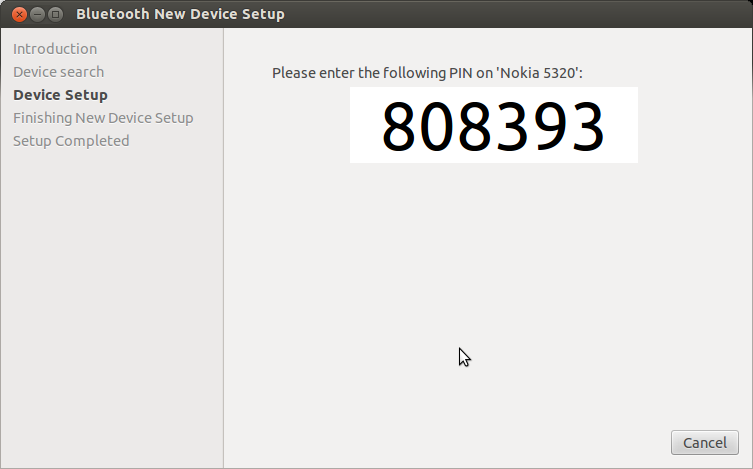 And one dialog box will be shown. Now click on continue. 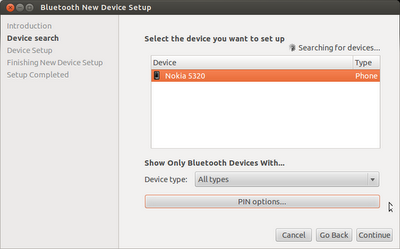 Then it searches for your bluetooth device[mobile] and display your device. 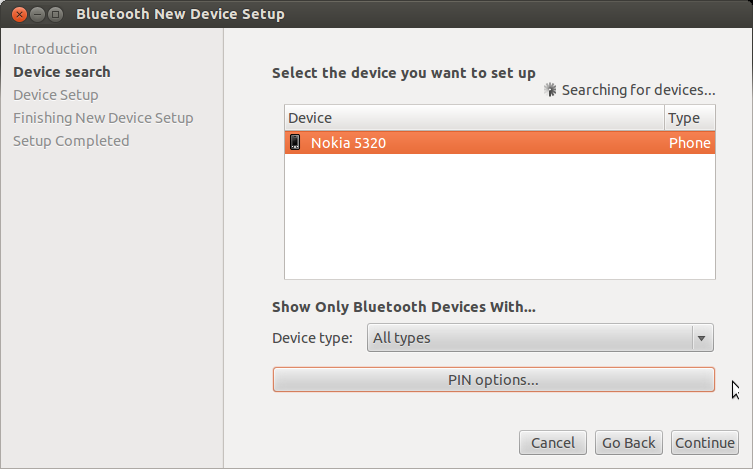 Make sure that bluetooth is enabled on your mobile also. Select your device and click on continue. 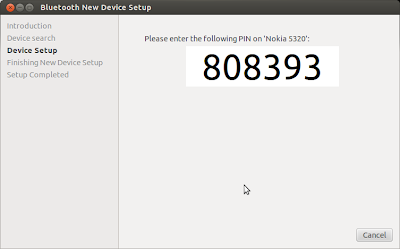 Now it shows you a 6 digit code enter this code to your mobile and in new dialog box check that check box "Access the internet using your mobile phone [DUN]". 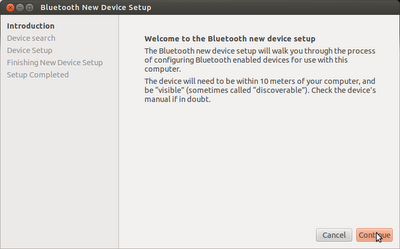 Then it open new setup dialog box as shown in screenshot. Now select your country, service provider and your internet plan or subscription by APN address and click continue as shown in below screenshots. Now you are one step far to your connection. Click on internet connection symbol on your top panel. It shows you your connection name as you gave before during setup click on that and enjoy internet.